Designed to highlight the risks of exposure to legionella bacteria, this Legionella Awareness Training Course looks at what to look out for and how to protect your organisation from harmful Legionnaires' disease. It takes just 25 minutes to complete online. This Legionella Training programme increases awareness of the dangers of legionella bacteria and highlights the importance of regular maintenance and monitoring of systems where they may be found. 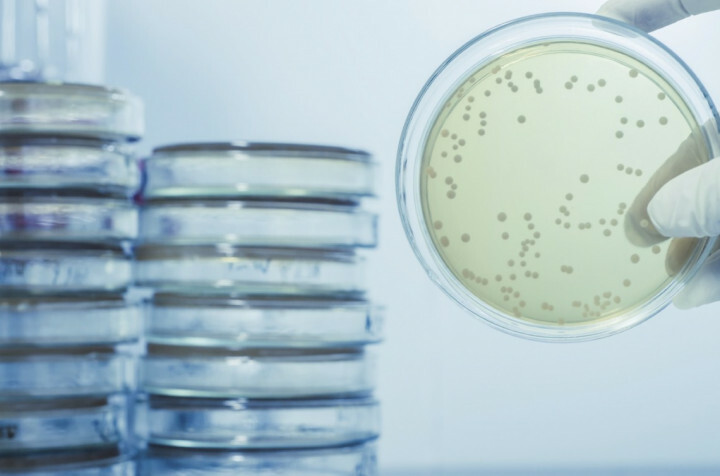 The course looks at what legionella bacteria are and where they can be found, as well as how legionella spreads and how these bacteria can affect health – concentrating particularly on Legionnaires’ disease and the symptoms to look out for. Although Legionnaire's disease is usually easily treated with antibiotics, it can lead to long term health problems and even death. Between 2011 and 2013, 84 people in the UK died from harmful Legionella bacteria. Make sure you and your staff know what to look out for and learn how to protect your organisation from Legionella bacteria with our online Legionella Awareness Training course. The Legionella Awareness Training course is broken down into 2 sections. This section looks at legionella bacteria and the most serious illness caused by them – which is Legionnaires’ disease. It looks at who’s at risk and covers the symptoms, how you get it and where it comes from. The best and most effective way to prevent an outbreak of Legionnaires’ disease is to take away the things the bacteria need to survive and thrive. This section covers how to do this, who is responsible for doing this and looks at risk assessments, maintenance and monitoring. This section includes links to extra information relevant to the most common systems which could be the source of a legionella outbreak, such as hot water tanks and cold water tanks. This Legionella Awareness Training course concludes with a 15 question multiple choice test with a printable certificate. In addition, brief in-course questionnaires guide the user through the sections of the training and are designed to reinforce learning and ensure maximum user engagement throughout. Your Legionella Awareness Training Certificate includes your name, company name (if applicable), name of course taken, pass percentage, date of completion, expiry date and stamps of approval or accreditations by recognised authorities. Based on 214 real user reviews. It was a well delivered. Read our full reviews for Legionella Awareness Training. Legionnaires’ Disease – The control of Legionella bacteria in water systems: Approved Code of Practice (ACoP L8) gives specific information on the health and safety law that applies to controlling Legionella bacteria. In addition to the above, two further technical documents give guidance to help employers, premises managers and Health and Safety professionals fulfil their legal duties: HSG274 Part 1 Legionnaires’ disease: The control of Legionella bacteria in evaporative cooling systems and HSG274 Part 2 Legionnaires’ disease: The control of Legionella bacteria in hot and cold water systems. General duties under The Health and Safety at Work etc Act 1974 extend to risks from legionella bacteria, which may arise from work activities. The Management of Health and Safety at Work Regulations 1999 provide a broad framework for controlling health and safety at work. The Control of Substances Hazardous to Health Regulations 2002 (COSHH) provide a framework of duties designed to assess, prevent or control the risks from hazardous substances, including biological agents such as legionella, and take suitable precautions. Placeholder image for What are the risks of legionella bacteria? What are the risks of legionella bacteria? Placeholder image for What is Legionella?